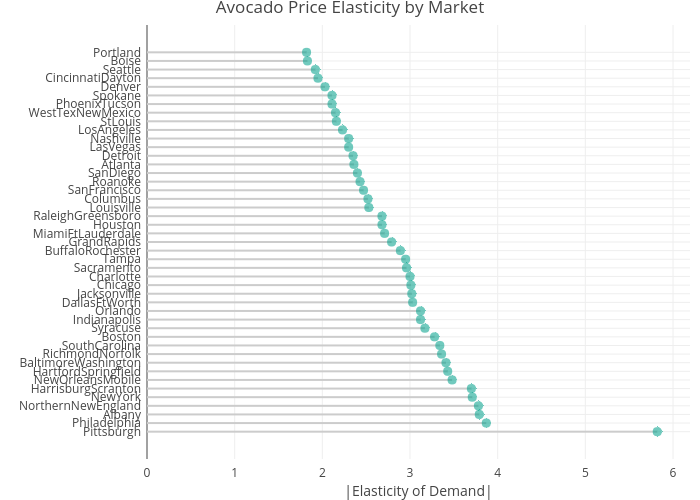 Bixby96's interactive graph and data of "Avocado Price Elasticity by Market" is a line chart; with |Elasticity of Demand| in the x-axis and in the y-axis.. The x-axis shows values from 0 to 6.165443242782935. The y-axis shows values from -3.0477130635077327 to 47.047713063507736.